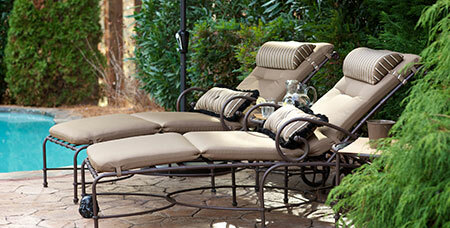 Iron CraftContemporary styling for use on wrought iron furniture. OEM IronContemporary styling for use on wrought iron furniture. General Purpose/SlingA sleek line of generic replacement cushions. 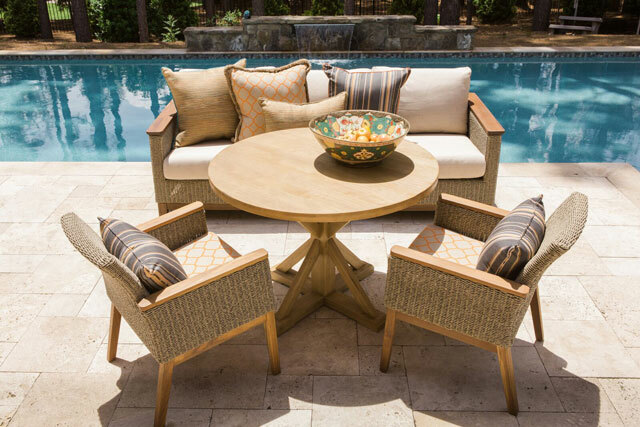 Kingsley BateFinely tailored cushions for Kingsley Bate teak furniture. 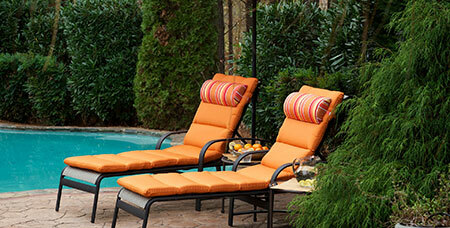 Jensen LeisureFinely tailored cushions for Jensen Leisure furniture. 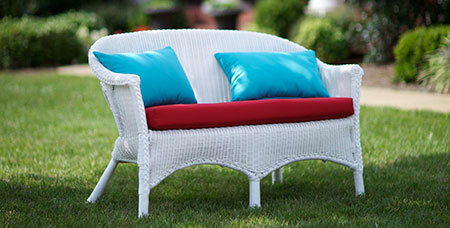 Generic WickerA sleek line of generic wicker replacement cushions. Lloyd FlandersPlush cushions for the Lloyd Flanders reflections collection. Cast AluminumA plush line to fit most cast aluminum groupings. HanamintA quality line of plush Hanamint cushions. Hanamint DeluxeFinely tailored boxed and welted cushion for Hanamint furniture. 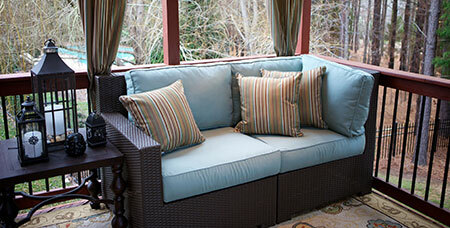 GensunPlush cushions for Gensun’s grand terrace collection. 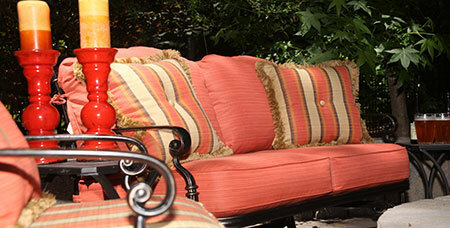 Throw PillowsOur throw pillows are great accents to any of your patio furniture.